Virtual assistants like Siri and Alexa are already changing the way we live, but now they're poised to change the way we do business. As SAP helps business run simple, Bots built on APIs are poised to help people of the future work simple. Bots can enable workers to get timely updates and assist in carrying out routine tasks, while Natural Language Processing will allow people to communicate with their virtual collaborators as easily and fluidly as they collaborate with their coworkers. The result? Previously unimaginable operational efficiencies and futuristic customer experiences can now become the standard. 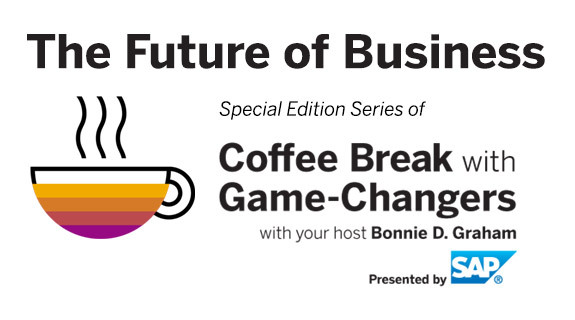 Listen now as technologists Raj Koneru (CEO at Kore.ai), Vic Bhagat (Former CIO and EVP at EMC Corporation), and Uddhav Gupta (Global Vice President of Platform-as-a-Service at SAP) discuss how bots will completely revolutionize enterprises of the future. Want to learn how bots are revolutionizing how people work with SAP systems? Kore.ai is a bot-based messaging platform that empowers users to communicate with SAP systems as easily and naturally as they communicate with people. Kore.ai bots for SAP are lightweight programs that connect directly with SAP HANA and HANA Cloud Platform, allowing users to send and receive information in SAP systems. At the user’s direction, these bots can deliver alerts, perform tasks, and even provide system reports. The result is a natural, fluid conversation between employees and the systems they rely on to do their jobs. Kore.ai provides bots for SAP S4/HANA, SuccessFactors, C4C and Concur and comes pre-loaded with more than 100 other bots that empower users to work simple. Connect with Kore.ai to see our platform in action.